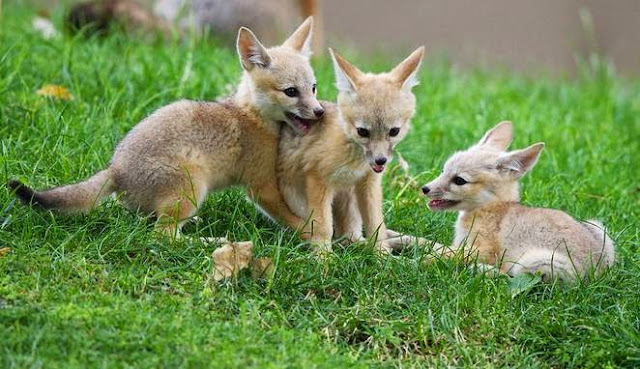 These small foxes live in an urban environment, and are considered endangered under the U.S. Endangered Species Act. 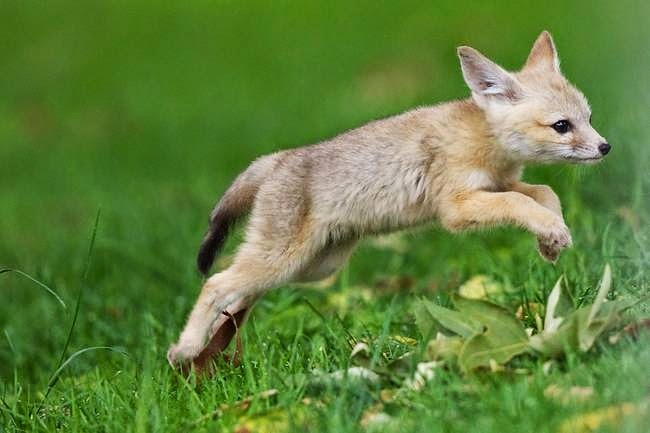 The kit fox (Vulpes macrotis), is the smallest fox native to North America and typically weighs between three and a half to six pounds. The species is not generally considered endangered. However, the subpopulation of San Joaquin kit fox (Vulpes macrotis mutica), once common to California’s San Joaquin Valley, has been labeled “endangered” since 1967 by the U.S. Fish and Wildlife Service. 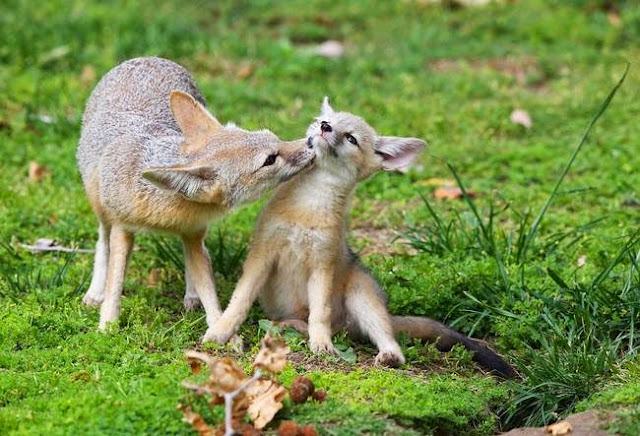 The San Joaquin kit fox is threatened by competition from the red fox and habitat loss. 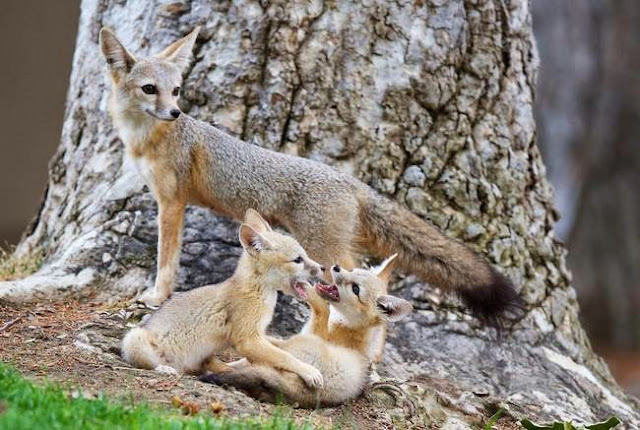 In 2007, the Deadman Creek Conservation Bank was established south of the City of Merced to preserve 684 acres of habitat for this adorable species. Rick Derevan writes that these wild young foxes and their mother were photographed in the urban environment where they live. 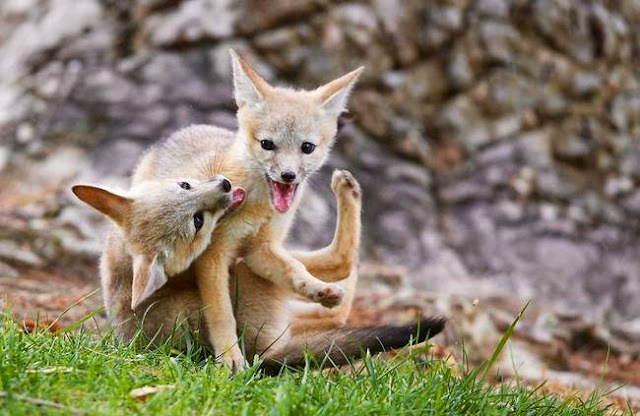 He adds that the animals weren’t baited or called for the photographs. 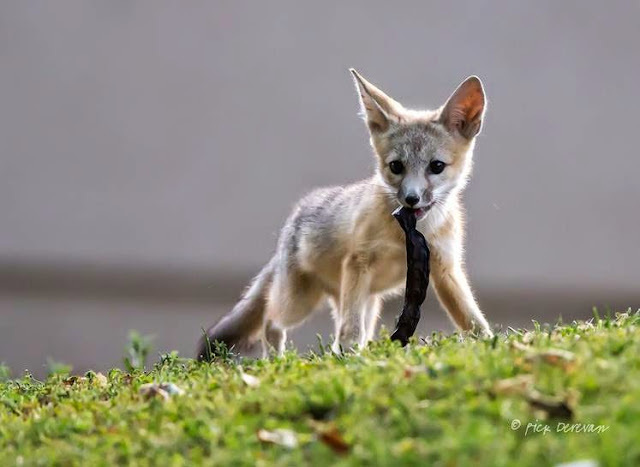 Derevan’s photos have an uncanny sense of timing. He captures many wonderful moments between the siblings and their mother. 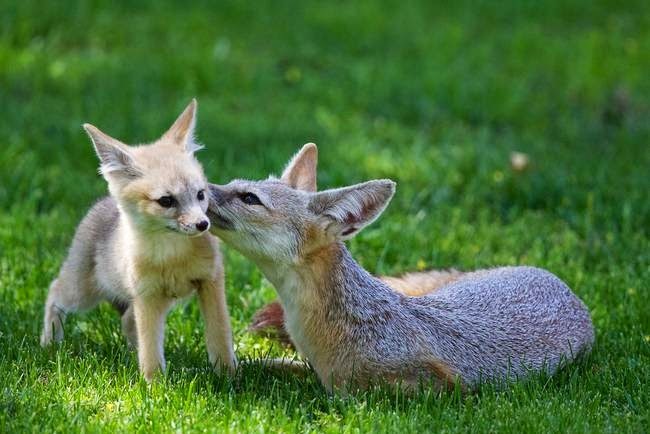 Or in other words, total face-melt cuteness. 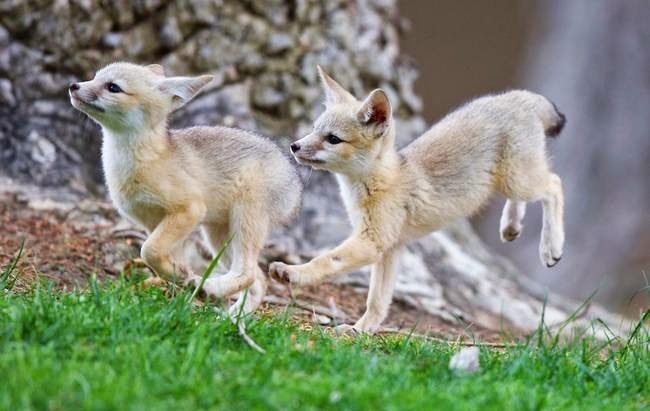 Responses to "Little wild kit foxes are having a great time (Photos)"
They are so cute. Thank you for sharing this with us.